Zhejiang weave industrial fabrics CO.,LTD was established in March 1984, with a registered capital of 13.8 million CNY. It is one of the enterprises specialized in producing filter cloth in Zhejiang Province. It has a professional needle-punched fabric production line and various filter weaving production lines. Our factory is the member of the national industrial textile industry association and the bag dust removal committee of china environmental protection association, the executive director unit of Zhejiang province industry textile industry association, and the president unit of Tiantai county industry cloth association. Municipal management advanced enterprises, Taizhou high-tech enterprises and Tiantai county top 50 enterprises, "Sui ta brand" trademark from 1999 years has been continuously evaluated as Zhejiang province famous trademark, Suita brand filter cloth was rated as Taizhou famous brand products. 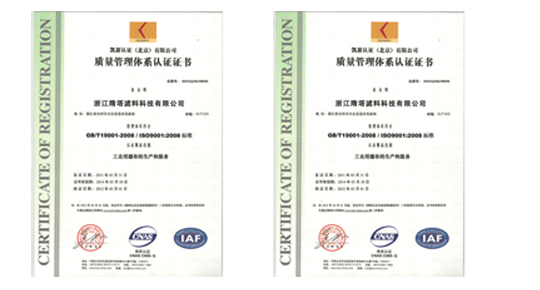 The enterprise has passed the ISO9001:2008 quality management system certification, ISO10012-2004 survey management system, standardized good behavior enterprise, passed the clean production certification of Zhejiang Province, the enterprise has the right to import and export. The factory covers an area of nearly 40000 square meters and a building area of 38000 square meters. More than 300 employees on the job, there are more than 40 professional technical development departments and technical personnel, the existing rapier looms 150, including the introduction of international advanced high performance loom-Dornier rapier loom 14 and the corresponding auxiliary equipment; Two needling production lines, two monofilament production lines, two high-strength drafting silk production lines, and one post-treatment production line. The annual production of woven filter cloth is about 5 million square meters, and the annual production of needle-punched filter material is about 3 million square meters, which can adapt to all kinds of high strength. The production of high density filter material, at the same time equipped with the filter material for the physical indicators of the necessary testing equipment to meet the needs of the majority of customers. Our main products are polyester, polypropylene, nylon and other synthetic fibres woven filter cloth; polyester, polypropylene fiber PPSs, aramid special non-woven needle felt; all kinds of sheet bag, liquid filter bag processing; polypropylene, nylon, Polyester monofilament production. Mainly used in metallurgical, chemical, chemical, chemical, coal, building materials, pharmaceutical, sugar, environmental protection and other industries solid gas separation (flue gas dust removal, Rare metal recovery, solid-liquid separation (all kinds of filtration equipment) and solid screening, screening process more than 2000 varieties of specifications, excellent selection of products, exquisite technology, advanced equipment, complete specifications, In the same industry in the leading position in the country. There are a number of national new products, with a variety of models of international first-class equipment, with weaving all kinds of high strength, wide, easy to clean the ability of special filter, And the province famous trademark "Suita brand" trademark reputation as the industrial filter cloth market. Customers throughout the country, and exported to Europe, Asia and other places, deeply trusted by users. The enterprise is located in Tiantai County, Taizhou City, Zhejiang Province, the first 4A class tourist area with beautiful scenery. It is 90 minutes drive from Hangzhou Xiaoshan International Airport and 60 minutes from Ningbo Airport. Hangzhou to rooftop express passenger every hour, the traffic is convenient. 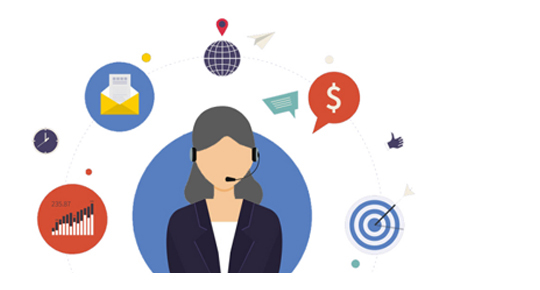 Enterprises attach great importance to the after-sales service of products, distribution throughout the country's business department will provide you with great convenience, at any time to receive customer feedback and inquiries, And with the fastest speed to provide you with a satisfactory answer. We will continue to be eager to work with people from all walks of life at home and abroad to promote the development of industrial cloth industry, welcome to visit or visit our website.